hd00:19Sunflower swaying in the breeze on a summer day. 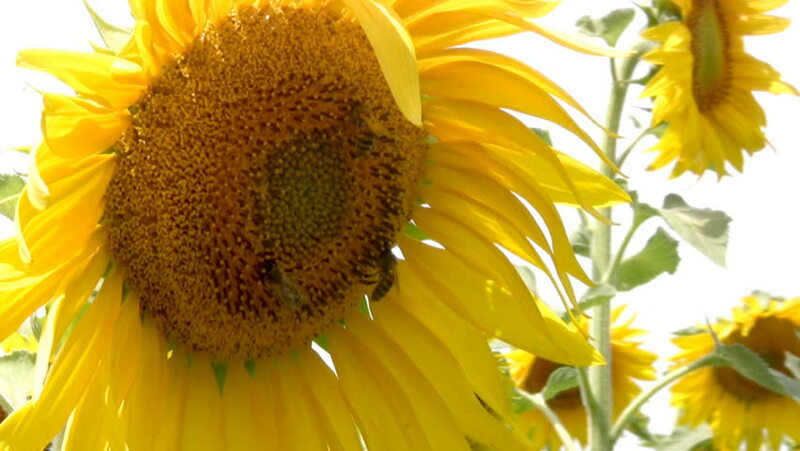 hd00:11The bee collects nectar on sunflower. Close up. Harvest of sunflower seeds in big yellow colors in the field at sunlight in the afternoon. Farm. Summer day. Environmentally friendly production.